The CZ P-01 is a compact, aluminum-framed 9mm designed for LE and Military duty, but its compact size and the reduced weight due to its forged alloy frame make it ideal for discrete carry as well. Equipped with a decocker, the P-01 provides convenience for those who prefer hammer-down carry. With a heavy first-round trigger pull, any additional shots are a light, crisp single action. 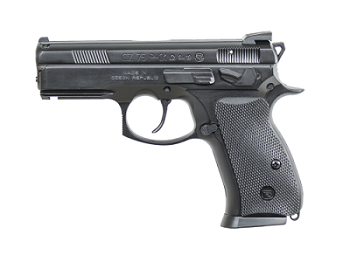 The P-01 was the first CZ model to benefit from updated manufacturing technology at CZ?s Uhersky Brod factory. 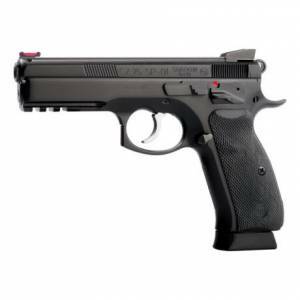 Since the time of its introduction (designed in 2001, NATO-approved in 2003) the production upgrades have been rolled out to the rest of the CZ 75 family and several new rifle models as well. These upgrades mean the components of the P-01/P-06 are completely interchangeable with every other P-01/P-06, with no individual fitting needed. This required some very careful re-design so that the reliability and accuracy were not impaired. With an integral 1913 accessory rail on its dust cover, the P-01 easily accepts any of the industry-standard lights and lasers to assist with low-light use. 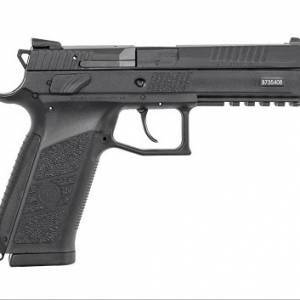 After 3 years of some of the most aggressive small arms testing ever, the CZ P-01 won the honor of replacing the CZ 75s previously used by the Czech National Police. 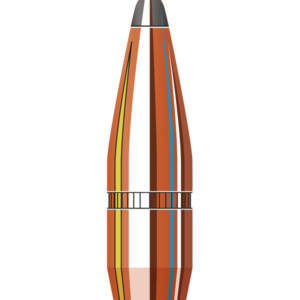 Reliability: The U.S. Army ?Mean Rounds Between Failure? (MRBF) requirement is 495 rounds for 9mm pistols. 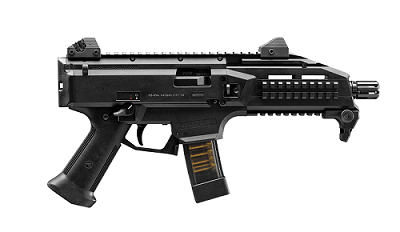 During testing of the CZ P-01, the average number of stoppages was only 7 per 15,000 rounds fired. This is a .05% failure rate or an MRBF of 2142! 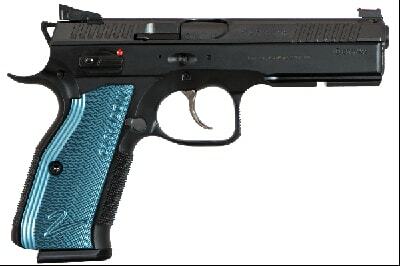 For many years, the P-01 carried an NSN engraved on its frame, making it the first NATO-spec pistol ever available to the public. Recently, the factory decided to upgrade the slide stop spring which in turn means the current models may or may not carry an NSN. 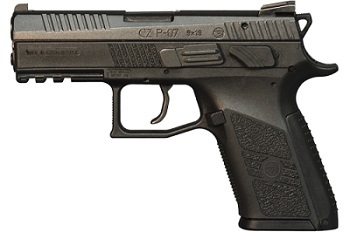 Introduced in 2009, the CZ P-07 was the first handgun to feature the convertible Omega trigger system. A simplification of the CZ 75?s hammer ignition method, the Omega?s trigger parts are interlocking in nature, allowing full disassembly and reassembly without the need for gunsmithing experience or tools. The P-07 received a facelift in 2014, removing any sharp edges and adding forward cocking serrations and interchangeable backstraps. 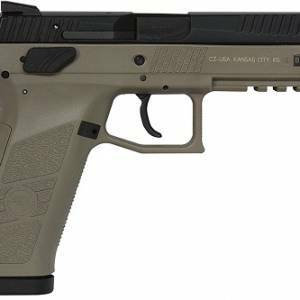 Metal sights, new trigger and hammer designs and a fiber-reinforced polymer rounded out the updates, resulting in a pistol that?s even more comfortable for all-day carry, increasingly adaptable to user preferences and hardier than ever before. 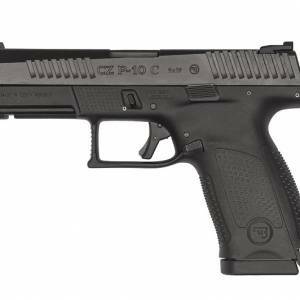 The P-09 is our full-size polymer offering, boasting an impressive 19+1 capacity in its flush-fitting magazine ? 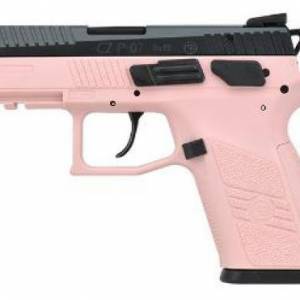 unsurpassed by any other 9mm service pistol. Featuring the versatile Omega trigger system, the P-09 is shipped with decockers installed but can easily be converted to a manual safety with the supplied parts and instructions. 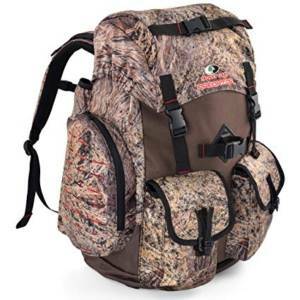 Also included are small, medium and large backstraps that allow the user to customize the pistol?s grip to their hand while retaining the natural point of aim that CZ handguns are known for. With an integrated 1913 Picatinny rail, the P-09 is readily adaptable to low-light situations. The Omega DA/SA trigger provides crisp single action trigger break, while providing the safety of a DA first-pull option. In recent years, the SP-01 Shadow has taken the competition circuit by storm. In USPSA Production Division, CZ pistols are now used by twice as many top-level competitors than any other maker. 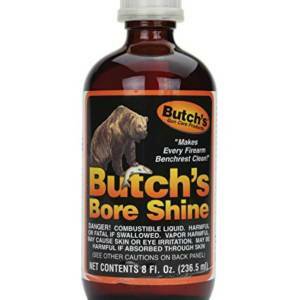 Given that popularity, it was high time to up the ante. Starting from scratch, CZUB engineers took the best features of the original Shadow and improved upon them. More than two years later, we?re seeing the fruits of their efforts. With a higher beavertail and undercut trigger guard, the shooter?s hand is able to be as close to the bore axis as possible. With a contoured slide, the majority of the reciprocating mass is also centered on the bore, equating to less muzzle flip. Increased weight at the dust cover/rail also helps keep the muzzle down. The Shadow 2?s swappable mag release has an adjustable, extended button with three settings to allow shooters to set it in the spot most comfortable for them. Best of all, new trigger components give smooth DA and crisp, clean SA while drastically reducing trigger reset. A hardy nitride coats the entire pistol, leaving it nearly impervious to corrosion, while the frame gets an additional layer of our black Polycoat finish. Thin blue aluminum grips have healthy checkering to match the fine front and backstrap checkering of the pistol itself. Sitting atop the slide are a set of target sights ? fiber optic on front and a serrated, black HAJO rear (click adjustable for elevation, drift adjustable for windage).